So as you might be able to tell from the fact that there were only two articles posted between now and the 19th of December, I was on holiday, but now, to the rejoicing of millions, I have returned, ready to write and complain in the two weeks I have before university starts up again. So I'm going to write an article which is dedicated nearly entirely by recent circumstance. 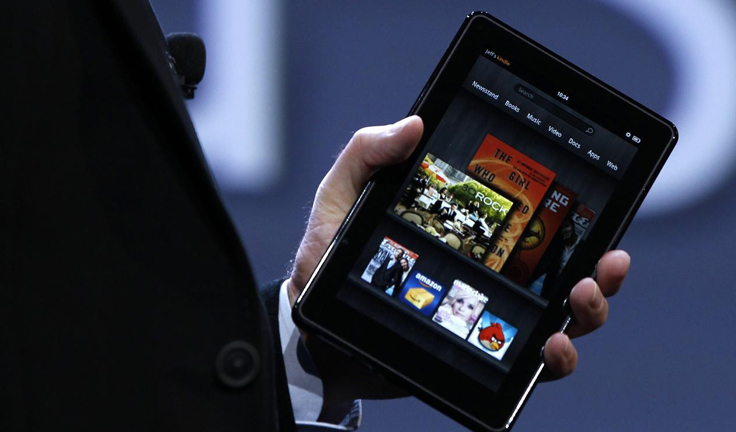 The first is the aforementioned holiday, which took place over Christmas, prompted me to get the new Kindle Fire early, so as to receive my English presents in England, rather than taking them all to Denmark to be unwrapped there, which would be frankly silly. So consequently I had a Kindle Fire, and several long journeys to go on if I was going to get to that sweet, sweet Scandinavian Christmas. Incidentally I will not be reviewing Angry Birds, as I have never played it, but I did play the Flash Game I assume it was based on, Castle Crusher, many years ago. Weirdly enough I played Crush the Castle during a very traumatic time of my life. Now I don't claim to be an expert in mobile games, I keep changing my name for them for one. 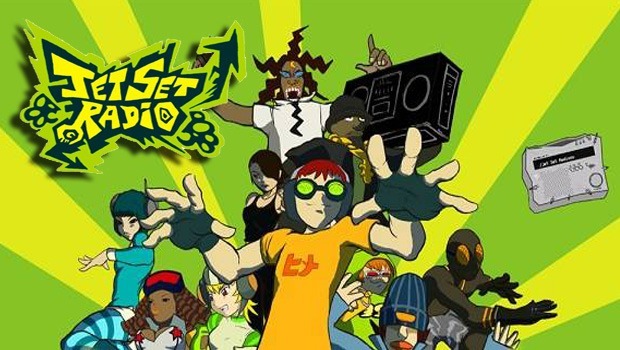 I have, however, played them for more than 3 hours, which is probably all you need to know everything about them, so I will impart my first piece of great knowledge amongst you. These games are frequently about running forever. Now the forever part is fair enough, designing games that end is hard work, you've got to have a difficulty curb, and probably a story, you've got to have more than 4 types of background, and probably work on the game for a while. That doesn't sound very fun to the brave people of mobile game development studios. So we have probably the most famous of the running games first, Temple Run. Temple Run is a game where you can play 1 of 6 greedy "adventurers" trying to steal an idol from a temple. Each "character" has a name, one line of characterisation (hence the quote marks over character), which is often woefully inadequate such as "Your Average Adventurer". Each character has nothing different from the other five, they are just different skins. See, you can't review this stuff, how do you structure a review around this? Oh whatever. After taking the idol you run, you occasionally jump, you occasionally slide, though both of these you do at the same speed, you never tire. You can gain boosts of speed, collect coins, and become invincible. You will invariably die, either in the game, or if you play for long enough I suppose, in actuality. So me and Flow Free immediately got off on the wrong foot, because you really want to call it Free Flow, but I guess that is a decent name, so we have Flow, which is Free. Though I've never seen a Flow for money, so we can assume half of the dedicated letters in this are designed to attract the morons that prowl the mobile markets to show them they can waste this portion of their life for free (Or, heaven forbid, they could review them). So Flow Free is a game that has many things Temple Run (and other runners I will mention) lack. It has levels, it is finite, you can complete it, it has an element of perfection, you can do a level well or poorly. So far this sounds amazing, but alas it only gets a 460 out of 9025 because. 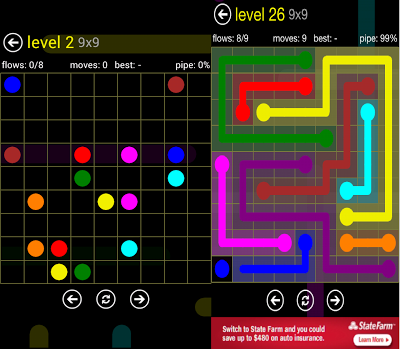 Flow Free: It is a game where you have to join sets of coloured dots together. From the Studio that bought you Fruit ninja (A game I won't be reviewing here) we have Jetpack Joyride. A game about one guy called Barry who steals a Jetpack lots of times and tries to escape with it, but obviously, given the rules laid out in the Temple Run review, he never does, because it doesn't end. Just like in Temple Run there is a plethora of fairly inconsequential power-ups and gadgets to buy with those contextually inexplicable coins that litter all of these games. It also has scientists which you can kind of kill. Doodle Jump might actually win the category for the most descriptive name in a genre(?) where basically all of the thread bare concepts that constitute video games can be summed up adequately in two literal words. Flow Free is disqualified as one of it's words is an argument, and just Flow wouldn't really indicate much. Temple Run is a close second, as both factors are involved, and Jetpack Joyride unfortunately over exerts itself on the last word, because how much joy can Barry honestly garner from continuously dying in his vain attempts to steal a Jetpack, seriously, CJ had a much better success rate. GTA San Andreas: Now there was a Jetpack Joyride we could all relate to. 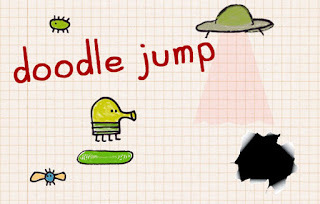 Oh yeah, Doodle Jump, you play a Doodle that jumps. So last but probably not least in this parade of pint sized playthings is Subway Surfer, a game I should probably have nothing to say about by now, having dealt with 2 other infinite runners. But I do, the setting for this is an urban train yard, the chase in this is a train station warden and his dog, the Runners are a bunch of characters who don't even have the one sentence of characterisation, only names. They must run until they are either caught and dragged away by the warden, or hit by a train and presumably killed. As in the last 2, these are criminals, graffiti artists, but not cool Japanese rollerskating ones like these guys. If you have just finished reading this, you might find yourself in a position not entirely dissimilar to when I finished writing it, namely, so what was the point of that? I (he) clearly doesn't take mobile app gaming as something serious, so why did I (he) just spend so long reading (writing) this. Well, here is the thing, I've played all of those games, I would even say I like them, but the context of which I like them in is so far removed from gaming. The idea of reviewing these games is tenuous at best. The idea of that android console that is coming out soon is laughable. They are in another category, they definitely can be fun, though it is limited, and for me, the regret factor of spending too much time on them is high. Glad you had a lovely Christmas. Welcome home. TWO WEEKS til the start of uni! Is this some sort of part time uni? Always like your blogs even when i dont understand them. E books - no. A real book every time. Thank you, alas it is quite the full time uni, but they have breaks that don't quite match up with reality, be assured I will suffer when that date inevitably comes around. I'm also inclined to agree with you on the subject of real books as a rule, they are quite superior. However, when travelling for so long, sadly it isn't practical to bring all the books I could read in that time. I think you really hit upon what I hate about this genre, it is just time burnt if you do it for too long. Hey these all games are really funny. Thanks for sharing. You share some good games here these helps us to chose game for our tablet.